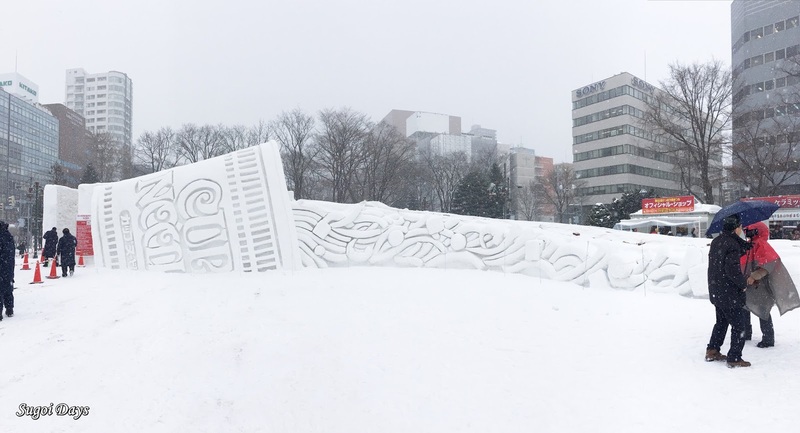 The Sapporo Snow Festival is one of Japan's biggest festival with international and locals flocking to the northern island of Japan to experience this one week event. 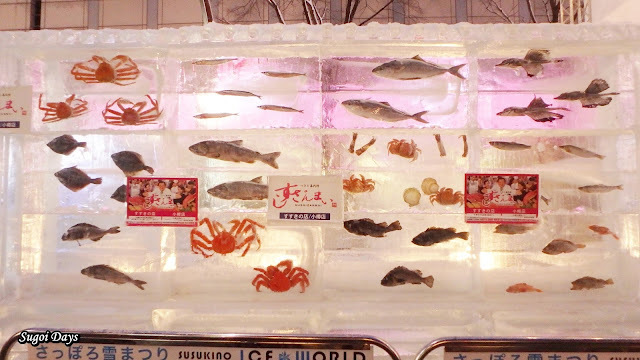 When I went to Hokkaido to WWOOF in Hidaka for three weeks, it just so happened that my trip coincided with the festival and I simply could not miss this opportunity. I arrived in Sapporo on the eve of the official festival date and found the city already brimming with tourists. 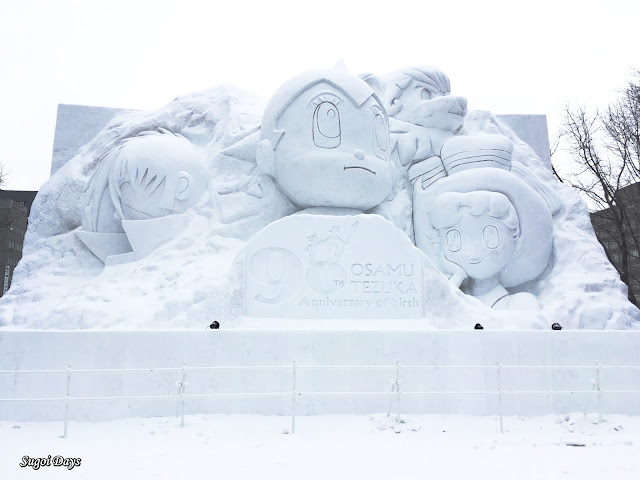 Winter was a popular time for tourists due to the skiing opportunities in Niseko and to see the beautiful countryside of Hokkaido. 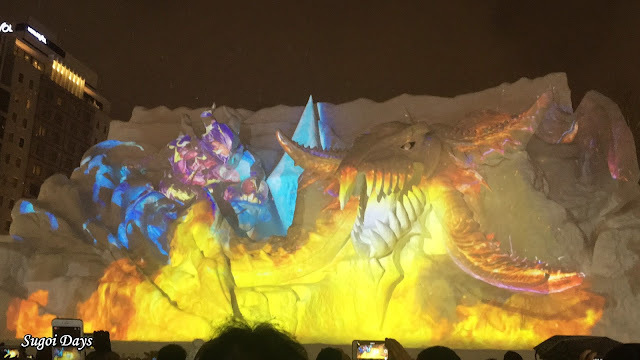 The Snow Festival was Sapporo's draw. It in fact started on 1 February, starting at the Tsudome Site where kids and adults can enjoy a giant snow slide. 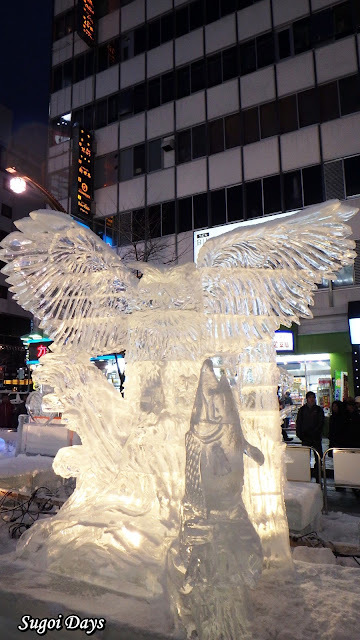 However, the main attractions were the snow sculptures in Odori Park and the ice statues in Susukino. 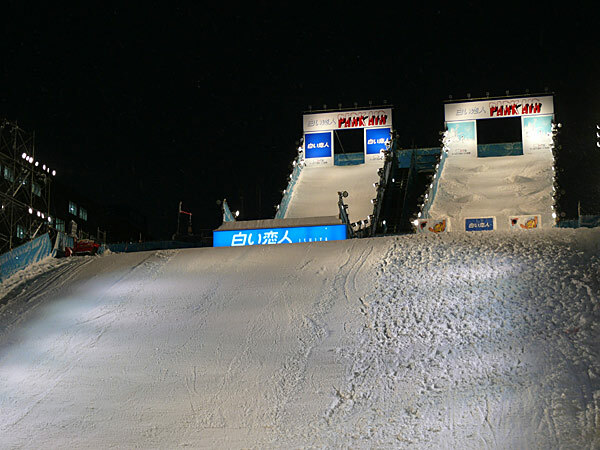 Odori Park's 3 Chome highlighted Shiroi Koibito PARK AIR Jumping Platform for snowboarding fans. 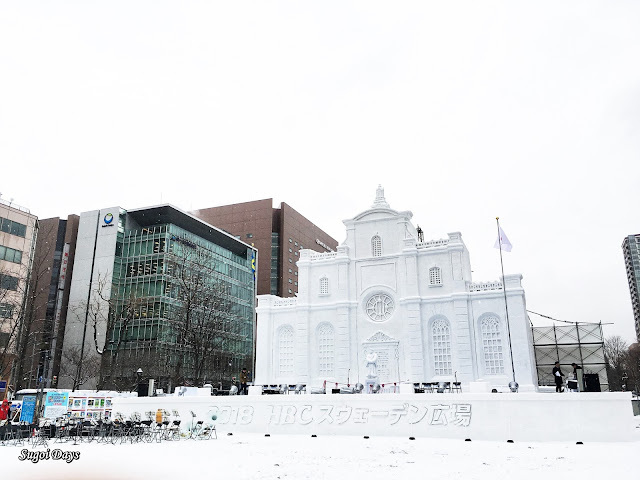 Other attractions to look out for are such as The Olympic and Paralympic Winter Games Sapporo Shōchi Kiseikai by the Sapporo Hiragishi High School; Design and Art Course [6 Chome], The Stockholm Cathedral [7 Chome section], The Large Lecture Hall of Yakushi-ji Temple in Nara [8 Chome section], Snow Miku [11 Chome] and also snow sculptures by the people themselves [12 Chome]. Attendees of the festival can vote for their favourite Citizen design and the winner will be announced on 10 February. Odori Park's 11 Chome was also where the International Snow Sculpture Competition was held. The event saw participation from Finland, Indonesia, Singapore, Thailand, South Korea, China, Macau, Poland, Australia and three teams from America representing USA, Hawaii and Portland. 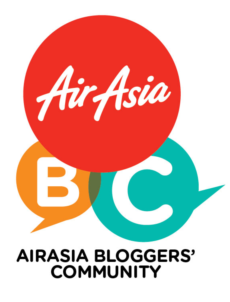 The entries will be judged and the winners announced on 8 February. There was also a Hokkaido Food Square, selling food and drinks all day long at 1 Chome, 6 Chome and 9 Chome. 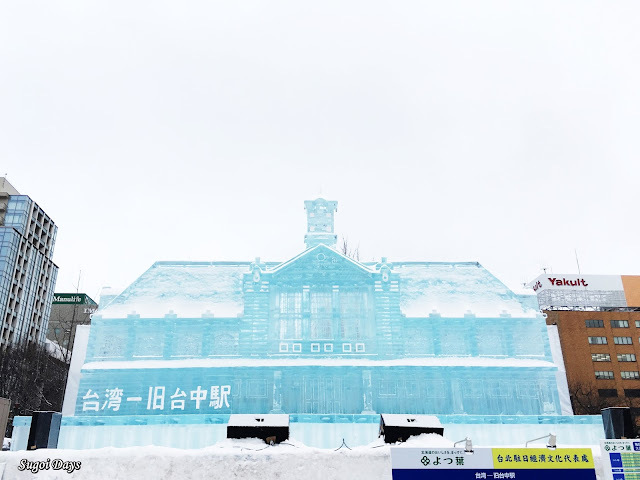 It was basically the best place to try everything Hokkaido had to offer in one place and also spend all your money if you don't mind standing around in the cold. 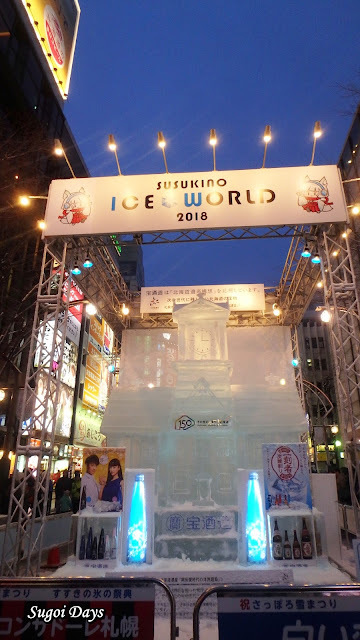 The light illuminations were turned off at 10pm after which many scuttled on to Susukino area. The Susukino site of Crystal Street officially kicked off at 6pm with the ice statues illuminated for all to see with the theme "Enjoy the Ice". At this point, I was busy trying not to fall on ice or stay still long enough to be turned into ice. The illumination however were spectacular right up to the moment they were turned off at 11pm. Just remember to buy the detachable spikes for your shoes or wear footwear with grip as the ground gets very slippery and the danger of falling is real. I almost fell like 10 times just walking up and down the park. Also layer up as you will out there for probably 1-2 hours. For my two nights in Sapporo, I stayed at Grids Sapporo. 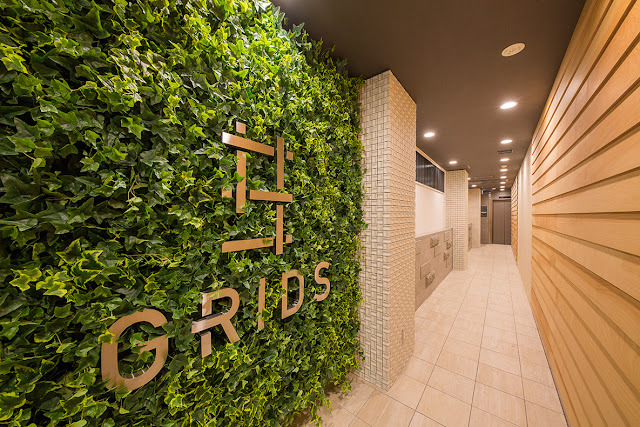 It was right smack in the middle of Tanukikoji covered shopping arcade and also right smack between Odori Park and Susukino Street. For the budget wary, they have dormitory options or private rooms for those who value their privacy. For a hostel, it was more on the pricey side but the location and its surroundings filled with things to do and food were unbeatable. For 69th Sapporo Snow Festival, it was the ideal place to stay. But if you're planning for next year's festival, remember to book early as they do sell out fast around this time.